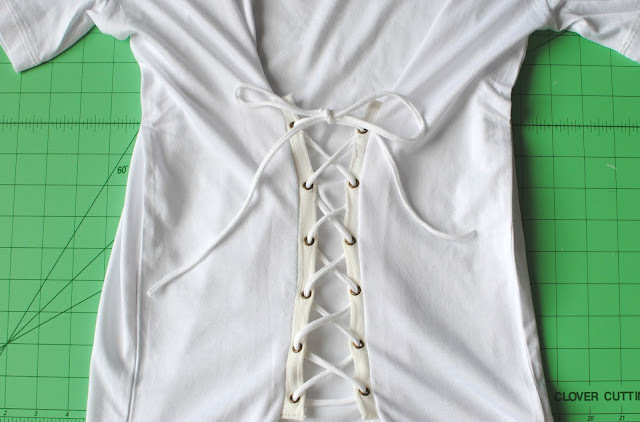 The lace up trend is a fun detail and easy update to do on an oversized/boxy t-shirt like I did into a corset top. 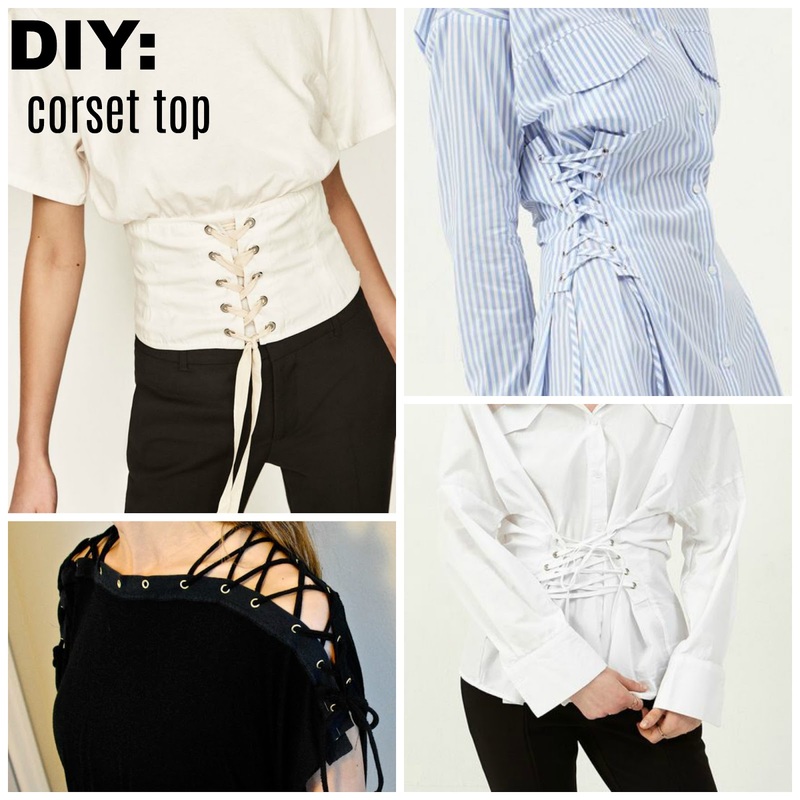 Try this simple tutorial on an oversized shirt, collar shirts, corsets, collars, and hems. 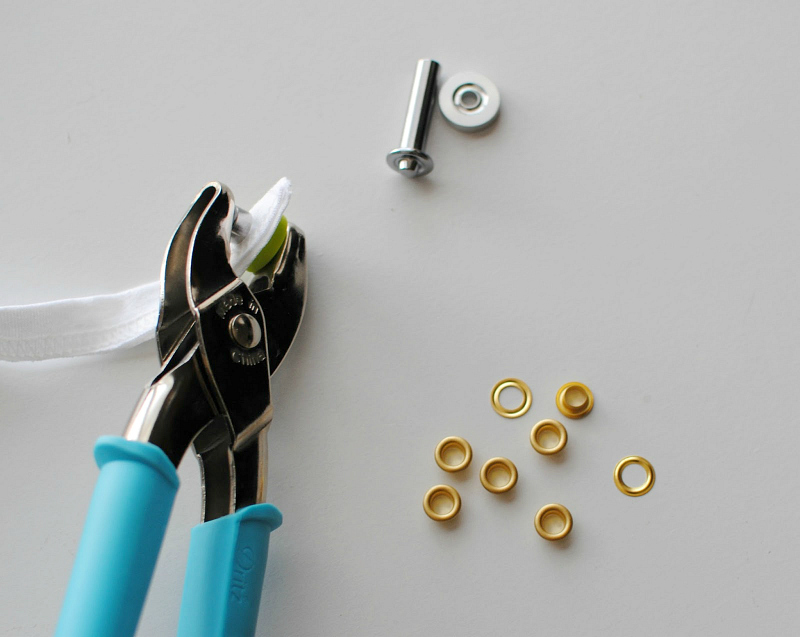 I always have my Dritz Eyelet Pliers and eyelets on hand for projects like this. I also used their new 2-Part Eyelet Kit. I used the hem of a t-shirt scrap I had in my fabric bin to create the trim. If you don't have any around then you can simple make one by folding a strip of fabric (2 in. x desired length) in half (right sides out) and press flat. Then evenly mark dots for the eyelets. Cut a very small hole with the pliers or use sharp embroidery scissors. 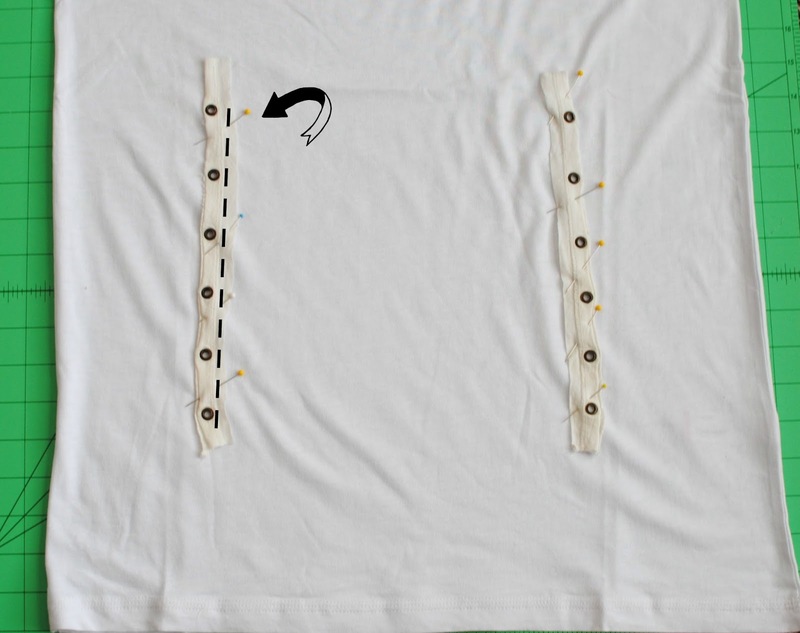 When using knit make sure to make the hole slightly smaller because it will stretch. 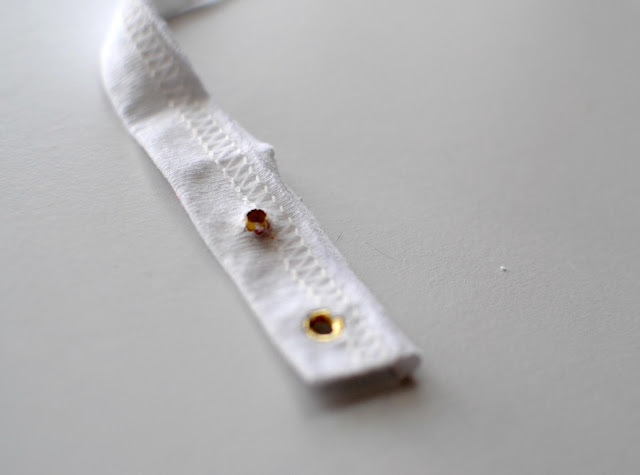 Place the eyelet in with the flat portion on the right side. 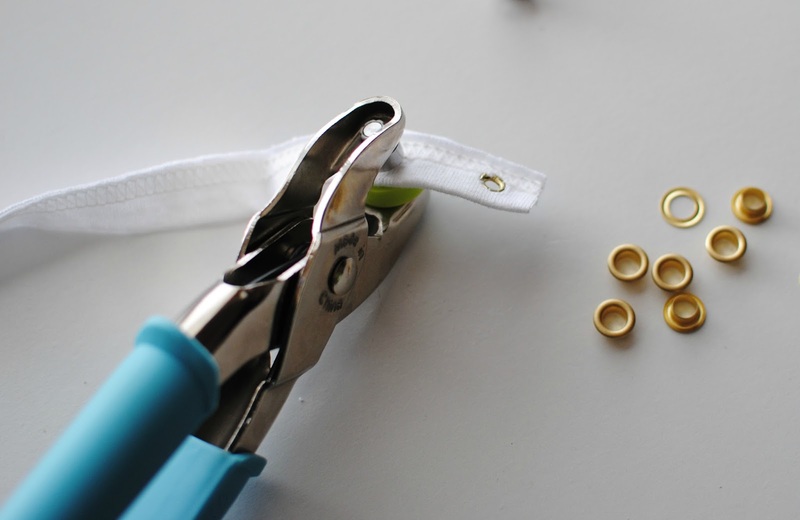 Then use your eyelet pliers or the 2-Part Eyelet Kit to secure the eyelets. Also, each tool comes with thorough instructions on how to use them. 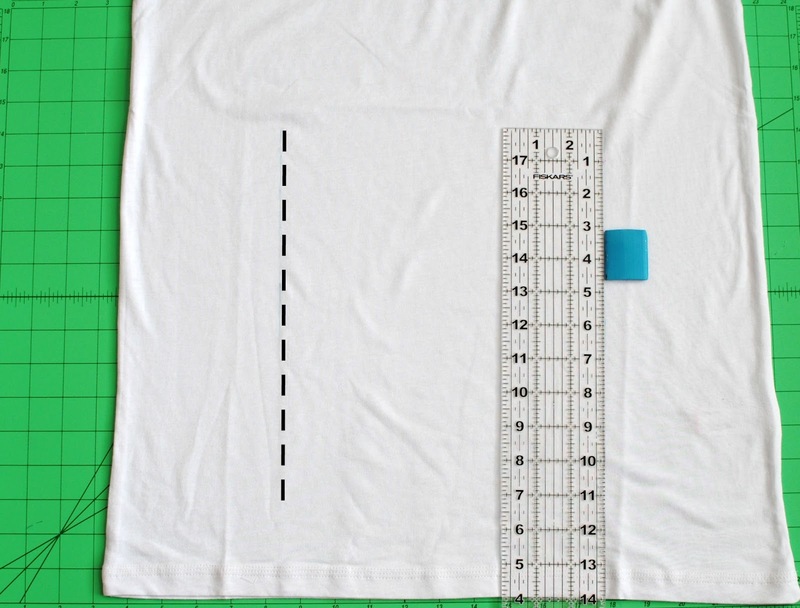 Now for the front of the shirt, mark where you'd like to place your trim with tailors chalk or some sort of marking tool. I made mine at the quarter marks from the side seams and 10 inches in length. With right sides together pin your trim along the markings. Raw edges should be on the inside when pinning. Make sure to only pin through the front or back part of the shirt (depending on where you want your lace up to be). Sew the inner sides as shown with the black dash lines on both sides. Try this on other garments to get different looks and fit. OMG !I love it !!!!! so nice !!!!! This corset with T shirt model is stunning and specially that while color with a blue jean will be attractive. However this pics over here are fabulous and beautiful. She is so great, she can do it herself. if you are a student, I have quite a lot nice opportunity for you. We have been into the education industry from past few years, delivering quality assignment and essay works for students as well as working professionals. We are Australiaassignmenthelp which helps in finance assignment help online, marketing plan assignment experts help for students and learning professionals. You can direct contact at Australiaassignmenthelp.com.